Do unto Otters: A book About Manners, by Laurie Keller has been our guide this month in behavior change. It’s a variation on the golden rule “Do unto Otters as you would have Otters do unto you.” So says owl when Rabbit asks him about his new neighbors, the Otters, and his concerns about how they will get along. The first week of school is always stressful but this year has been even more so. And M-ito’s behavior at home has not been up to par. M-ito has told us that he always follows rules of good manners in school, but not when we’re home. This made us pause and think. Why would this be? We’ve always said he has to have good manners with everybody. Bad manners in this case seemed to go along with starting school – the same thing happened last year. We think it’s because he tries so hard to “be good” in school that when he comes home he lets loose. This means grumpy, sullen, dismissive, quiet, yelling. Perhaps this is all school age kids when they are finished with school. We’ve had three days of peace since posting the list. M-ito seems to have found his bearings and our stomachs are all feeling more settled, school-wise and home-wise. Mom-ita told me of this conversation when I came home from work last week. “Mom-ita, how do you die?” he asked her. They were lying down in bed having their morning conversation. I was long gone and off to work. Gran-ita died the end of last January, a long seven months ago. M-ito knew her physically as someone who had tubes coming out of her nose and who needed a wheel chair to get around and who was always out of breath. She also was on oxygen for a good year so when we went over to Gran-ita and Pop-pop’s house M-ito had to step over lines of tubing and be careful of them as he played. It didn’t seem to bother him so much as challenge him. He asked a lot of questions then and we went over what we believe with him – we told him about his soul or spirit, that it goes up into the sky when you die, that the body goes back into the earth because it’s no longer alive, that the spirit may come back as another human or creature, that the divine spirit is in all of us and that Gran’s spirit will return in some way, shape or form. He seems to be comforted by the idea of reincarnation – or maybe that’s just me. He says he was once a velociraptor. He wants to come back next trip as an animal, perhaps a dog. Me, I’m just glad Mom-ita gets these kinds of questions to answer and not me. Note: The following book, Natural Family Living – by Peggy O’Mara – Peggy O’Mara has a great section on how to deal with death and the death of a family member that is very practical, concrete and helpful. 1. Zen and the Art of Fatherhood, by Steven Lewis – His book is sometimes hard to find but I believe it’s newly back in print. It’s a funny, funny book, but not a book by a comic. Lewis’ book is about what it means to become a Dad from the ground up. With seven kids of his own, he should know. 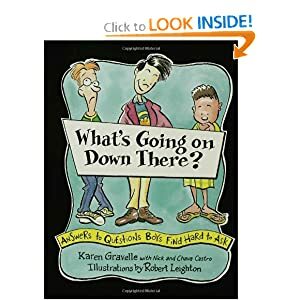 One practical chapter on what to do when your little boy/girl has a tantrum at a friends house while you’re having dinner, stuck with me until my son was three and it happened to me. What does he say to do? Sometimes you just have to pick them up under your arm and go home. Know when you can stay and know when you can leave. It’s all about knowing your chil, knowing what’s best for them, and letting go of what you want to do. My wife bought me this before M-ito was born and it really helped to bring me to ground. 2. Zen Parenting, by Judith Costello and Jurgen Haver – This is a terrific book about creating space as a parent for your child to grow. The Zen perspective is woven throughout this short, but highly readable gem. My favorite section tells a story about an executive who, every day reminds himself to one thing for his family, one thing for himself, and one thing for the world. Just read the book and the whole thing will be in context. 3. The Baby Book, by Wiliam and Martha Sears – This is the huge book that saved my wife and my lives (and probably M-ito’s) time and time again when he was an infant. For me the single most helpful, hands on, what do I do now that my: son’s nose is running, has developed a rash, is crying and I can’t stop him, has a fever, etc… These guys rock on all the early childhood stuff. Easy reading also. 4. Natural Family Living – by Peggy O’Mara – Peggy O’Mara is wonderful. I bow down at her feet. Besides being the Publisher of Mothering Magazine, she is also the author of this terrific book on parenting. I found it only last year but the section on how to deal with the death of a family member was the most practical and helpful chapter I have ever seen. M-ito’s grandmother died a few months ago and it was invaluable in helping us to help him through the difficult time. The section on schools and older kids stuff is also very helpful. She’s a good writer to-boot. 5. Positive Parenting – Alvin Eden, MD – When we were in desperate need of something simpler we came to this book by our pediatrician. He’s a grouchy, curmudgeonly old doc who knows his stuff and children. The book is mass market paperback in size, shorter, and the chapters on developmental behavior were helpful in explaining what was going on with M-ito at early ages. Sometimes we needed two books to read on the same material to get two different takes. This was book number two.